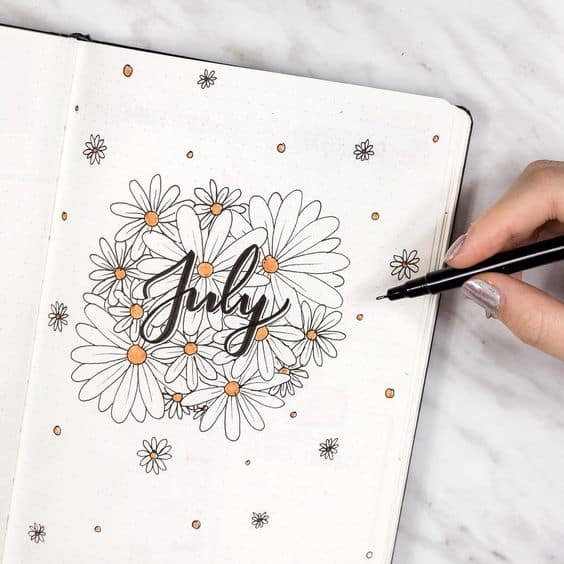 These beautiful bullet journal monthly cover pages for a whole year will inspire you to draw your best! When I look cover pages I always feel so calm like it’s a therapy for me. I admire how they can make such a pretty picture with different colors. It’s like looking at paintings. 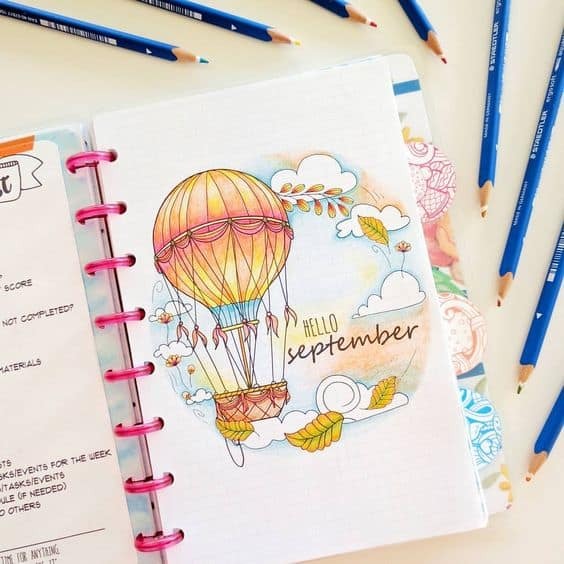 Some people like to do their monthly cover with calendar, some just like to get the creative side of them through their month cover and some just have the talent to actually do great drawings. 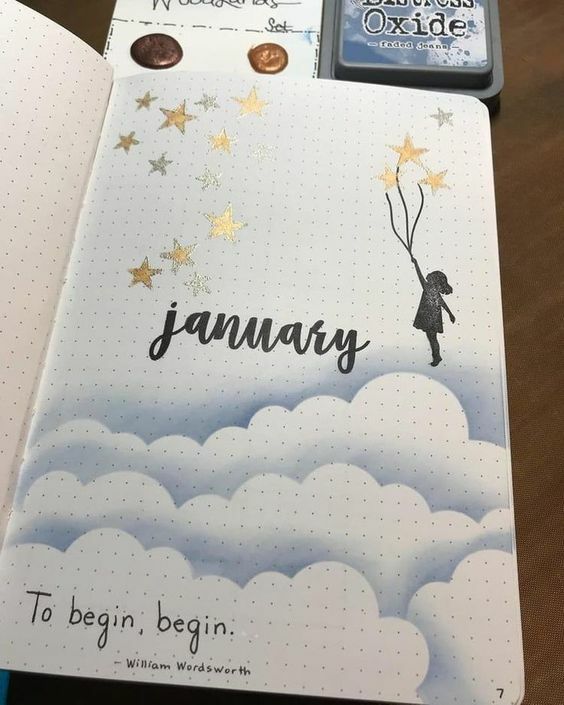 Recently, I am a fan of bullet journal. 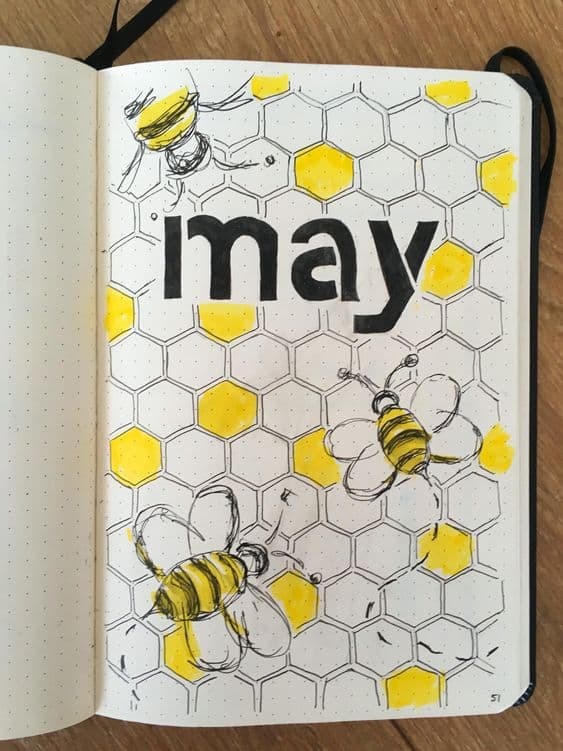 I don’t know at the beginning that you can do anything with your bullet journal. I thought it just a simple way to organize your daily routine, prioritize what needs to be done and deleting not important stuff so you will be more productive throughout the days. That is the real idea behind bullet journaling. But nowadays, I can see that a lot of people let the creative side take control bullet journaling which is super awesome! So, shall we admire all of this beautiful monthly cover pages for the whole year? I love, love seeing metallic color like gold or silver combine with baby blue color. Full inspiration right here. This February cover page is super stunning. I really love the flower details and color combination. You are also free to add calendar at your cover page so you will be more productive. Mark the dates for important events such as birthday dates or dinner dates to easily scan what days are important. Spring is here! This March cover page perfectly describe that! 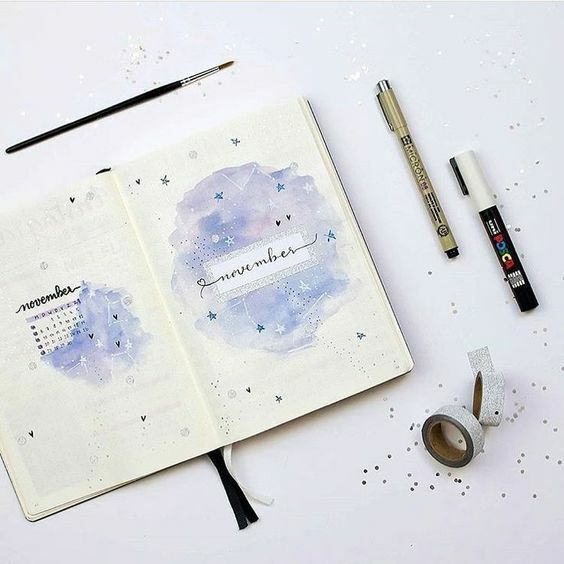 Using a bullet journal with dots page will be much easier to draw with plus it won’t be visible not like the lined ones. Ursunshine Bullet Journal Notebook – If you want a more minimalist notebook then this is perfect for you. Have a less page than the Lemome one but this is not a bad bullet journal notebook! Lemome Softcover Bullet Journal Notebook – It is perfect for beginners and budget-friendly. 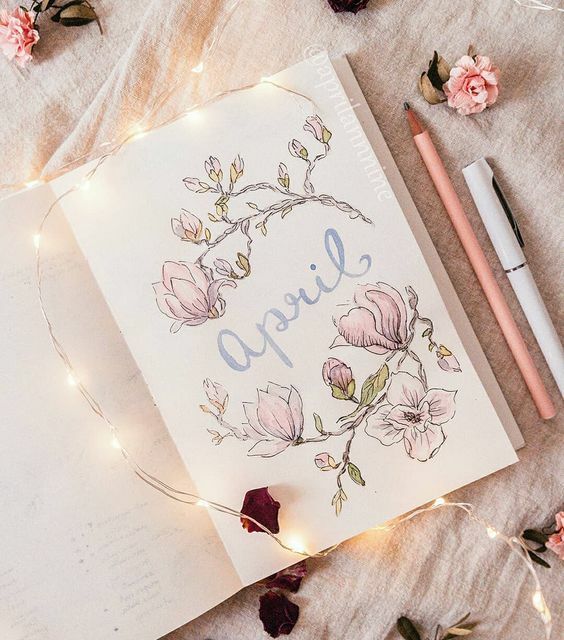 Soft pink and blue is the perfect combination to create a soft look on your April cover page like this. It is simple to create a look like this May cover page. No need to worry about the details, you do you! 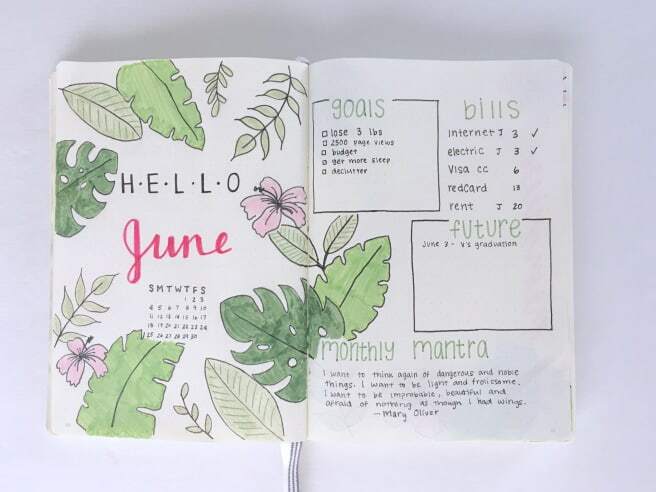 For June which is the beginning of Summer, tropical leaves theme would be perfect this month just like this June cover page. I don’t know about you but I love daisies! This July cover page is just perfect! Simple yet there are some details that keep it stunning. Yellow is a great color to play with. 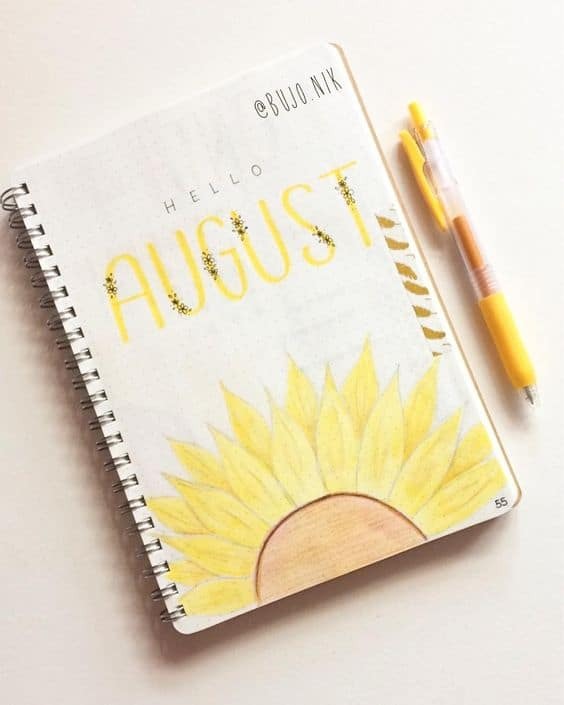 This simple yet pretty August cover page is perfect for a simple cover page! Oh, I love the color combination. Stunning September cover page like this is Instagram-worthy! If you feel like not into coloring then you can play with details. 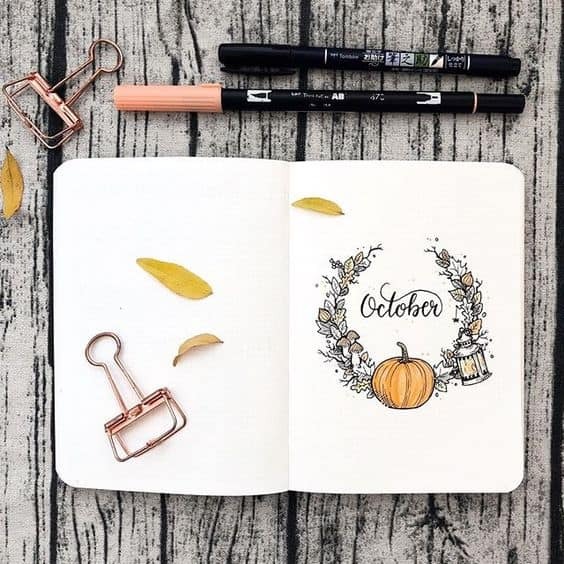 Look at this October cover page, the details is amazing! I’ve been a long time fan of watercolor and seeing this November cover page is really magical. The color combination and saturation are pleasing to the eye! 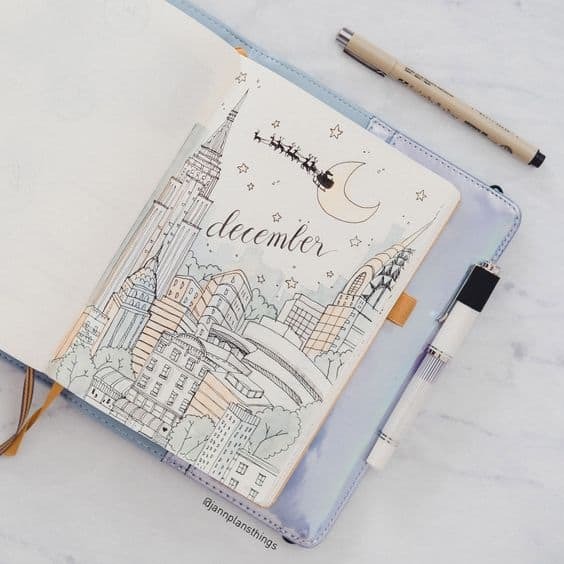 I love the theme in this December cover page, especially how creative this made. Even though it’s not a very “Christmas-y” theme where everything is red and gold color but the sleigh drawing is enough to know that this is the month of Christmas! 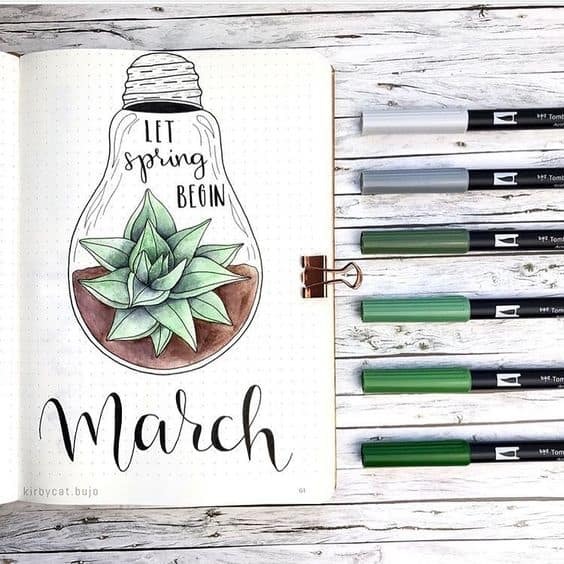 So, what do you think about these beautiful bullet journal monthly cover pages for a whole year? Doesn’t it spark the creative side of you? 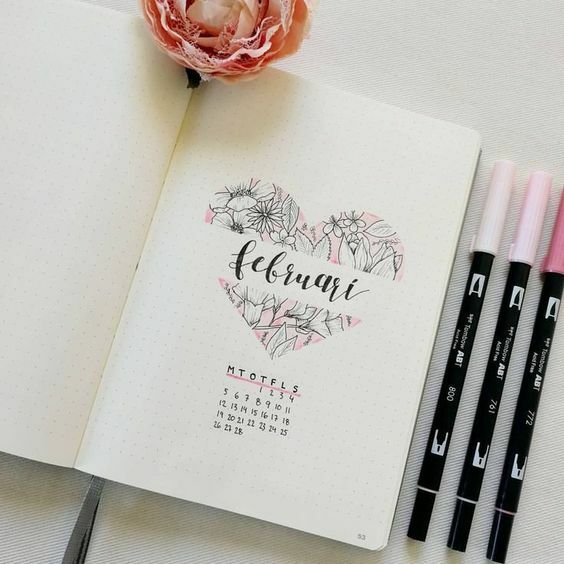 If you have a stunning monthly cover page to share, feel free to comment down below! 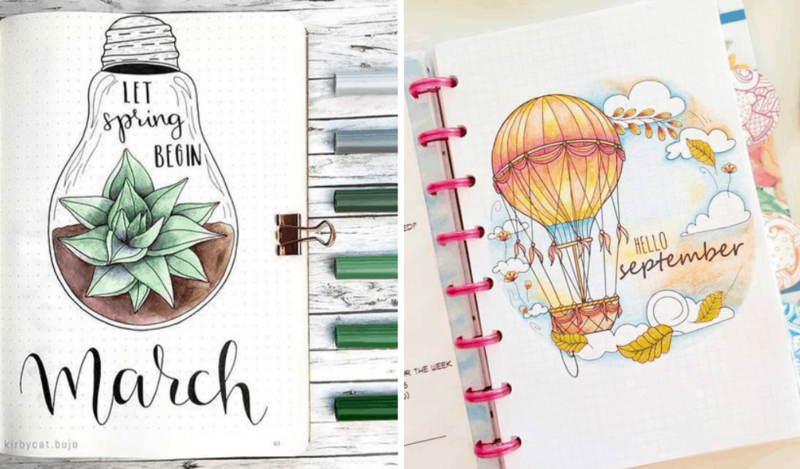 My Printable’s Collections – to add into your bullet journal! Follow me on Pinterest for more ideas and inspirations and see ya on the other side! Share some love to this post by pinning it on Pinterest! Wow, I think these cover designs are amazing. I could never imagine that myself, but seeing them here, I can do something myself, I’m sure. Thank you for sharing! !